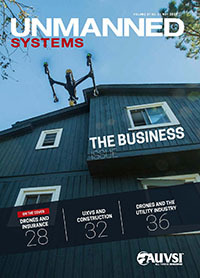 Established in 1982, Unmanned Systems magazine remains true to its founding principle — the advancement of the unmanned systems and robotics community. 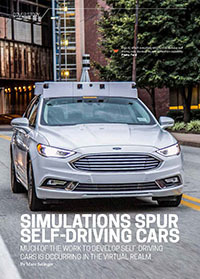 AUVSI’s Unmanned Systems magazine features thought-provoking and insightful articles that focus on technology, adoption, trends, best practices, research and policy for all aspects of the unmanned systems and robotics industry. The magazine highlights global developments and unveils new technologies in air, ground, maritime, robotics and space systems. Regular features include Far Out, a section about cutting-edge unmanned technology; Viewfinder, photos taken by unmanned systems; Essential Components; and Industry Trends. Each issue also includes a lighthearted look at movers and shakers in the industry in a feature called Membership Profile. In addition, you'll find content on unmanned systems education and events worldwide. Subscribe today to receive in-depth, well written and insightful news, analysis and information about the unmanned and robotics industry! The current issue is available for a limited time to users who have created an account on AUVSI.org. If you are a current AUVSI member, please login to the website and reload this page to view all current issues. If you currently have an account on AUVSI.org, login to see the current issue. If you do not have an account on AUVSI.org, create an account to gain access. The magazine has an active, involved, professional group of readers in the unmanned systems industry. Reaching nearly 18,000 readers in both print and digital formats, Unmanned Systems magazine is the place to advertise if you want to reach key decision-makers in unmanned systems and robotics. View our 2019 advertising opportunities along with the rates and specs! 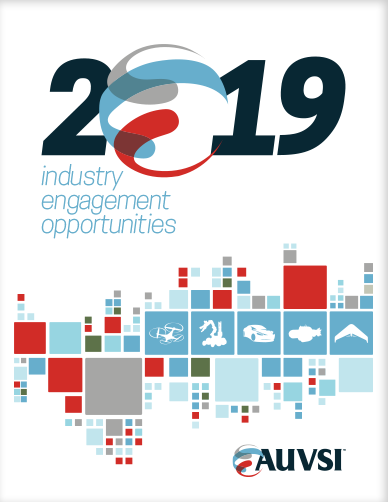 To take advantage of these opportunities, please contact Wes Morrison at wmorrison@auvsi.org.